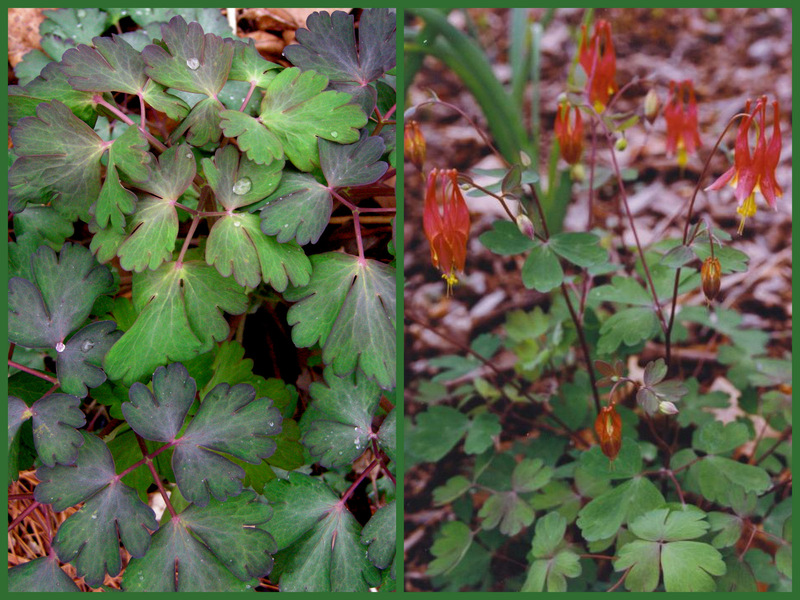 This entry was posted on April 7, 2011 at 11:45 am and is filed under garden essay, green gardening, native plants, organic gardening with tags Anemonella thalictroides, Aquilegia canadensis, bloodroot, bloody butcher, Celandine poppy, dwarf Jacob's ladder, Heuchera villosa 'Autumn Bride', Heuchera villosa 'Blackout', Heuchera villosa 'Caramel', Heuchera villosa 'Frosted Violet', Jeffersonia diphylla, Mertensia virginica, Polemonium reptans 'Blue Pearl', rue-anemone, Sanguinaria canadensis, Sanguinaria canadensis 'Multiplex', Stylophorum diphyllum, Trillium recurvatum, twinleaf, Virginia bluebells, wild columbine. You can follow any responses to this entry through the RSS 2.0 feed. You can leave a response, or trackback from your own site. Carolyn, I think your yellow and white signs to differentiate natives from non-natives are great! I have had more than one occasion when I bought what I thought was a native plant, only to find out later that I had gotten one of the non-native species in a genus that includes natives. Clear signs like this are so helpful. And, of course, it helps customers to see how many of the plants they’re admiring are not only gorgeous, but also good for the environment. Thanks so much for linking to my post. 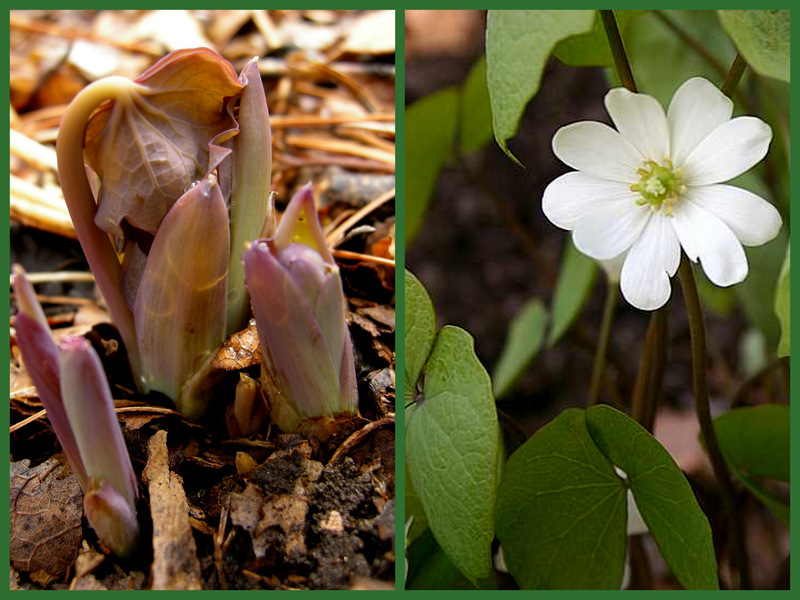 Being a foliage person, I want the twinleaf please. BTW you are now, in the top 15! One more pick coming your way for this post. Some wonderful natives and nice to hear about your sustainable living/gardening. My favourite flowers, foxgloves, are native to the UK. It wasn’t an intentional choice, but I like to think it’s more than a coincidence. I leave my lamiums, dandelions, daisies, buttercups, forget-me-nots and oxalis to grow freely – it’s my approach to native gardening. You have so much in bloom right now and it looks beautiful. Doug Tallamy is coming here to speak at the Buffalo and Erie County Botanical Garden. I look forward to his talk. Maybe Donna can schedule her trip down on May 5. It’s great to see the plants unfurling and then shots of what they look like in full bloom. It’s great that you offer so many natives! Your yellow signs look very helpful. I would love to visit your nursery someday, too. Great post with great photos! I salute all of your efforts to promote sustainable living. You will never know all the lives you have touched and the difference you have made. Each of us has a wider influence than we may think. I definitely believe in the ripple in the pond effect. I also was inspired by Barbara Kingsolver’s book and have been eating more local foods from our co-op market, farmers market and my own garden. 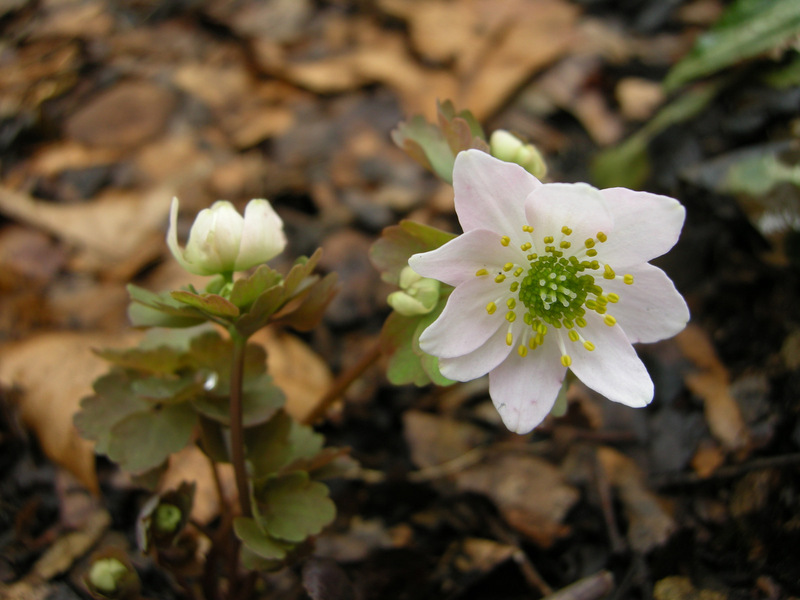 I’m also planting my woodland gardens with more natives wildflowers and shrubs such as Ledum groenlandicum, Trillium, Asarum, Sanguinaria, and many more. Mostly from seed. 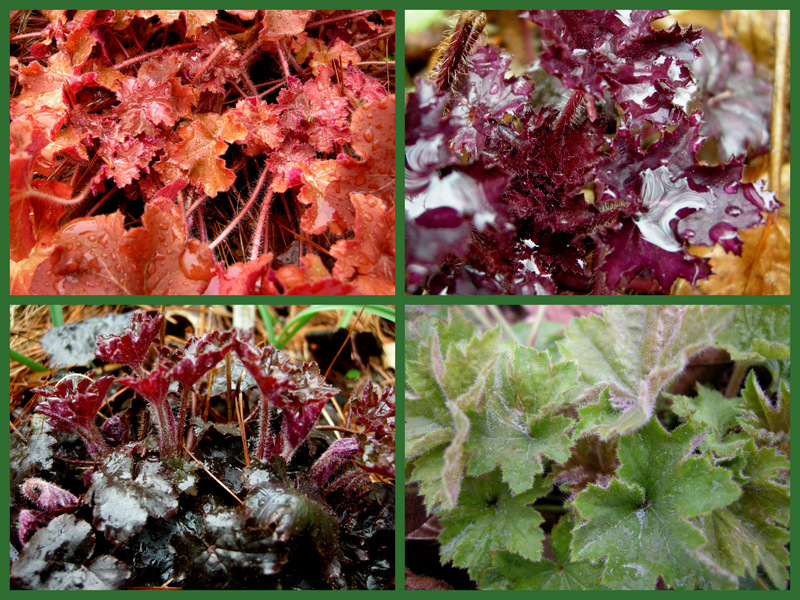 Starting perennials from seed is one of the most satisfying ways to increase your gardens’ diversity! I plan on collecting seed of many local wildflowers this year. What fun! The sight of Trilliums always make me smile. Kudos to you for incorporating more natives at the nursery, and encouraging others. We have a few specialty nurseries near here offering natives, but most don’t, and many general garden nurseries still insist on selling invasive thugs. I like how you’ve included natives with well behaved non-natives in your demonstration gardens too. I think many assume a native garden has to look drab and dull most of the year, but careful choices of plants in both categories, I think, make for some of the most beautiful gardens. With your demonstration garden, I’m sure for your customers, seeing is believing! 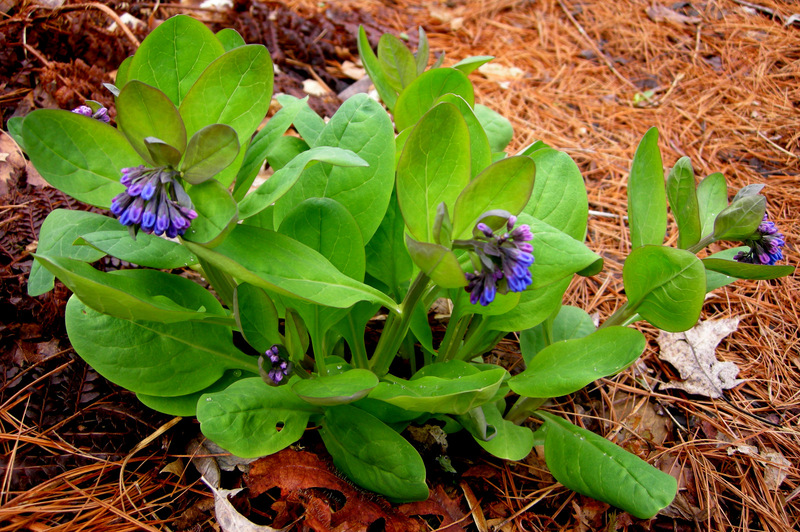 Over the past two years I have been educating myself on native plants and adding them to my garden. I will certainly read the book you recommended. 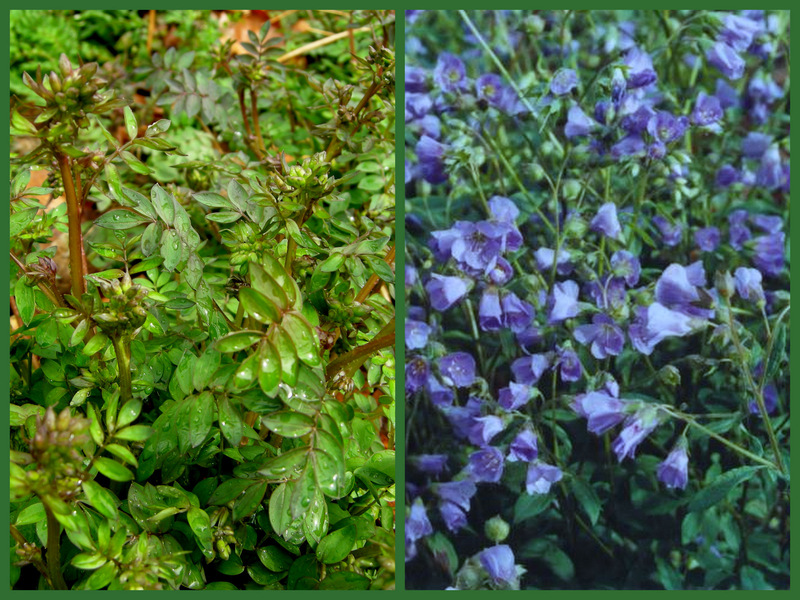 Your photos really show the beauty of these native plants. I am preparing my post for the project. 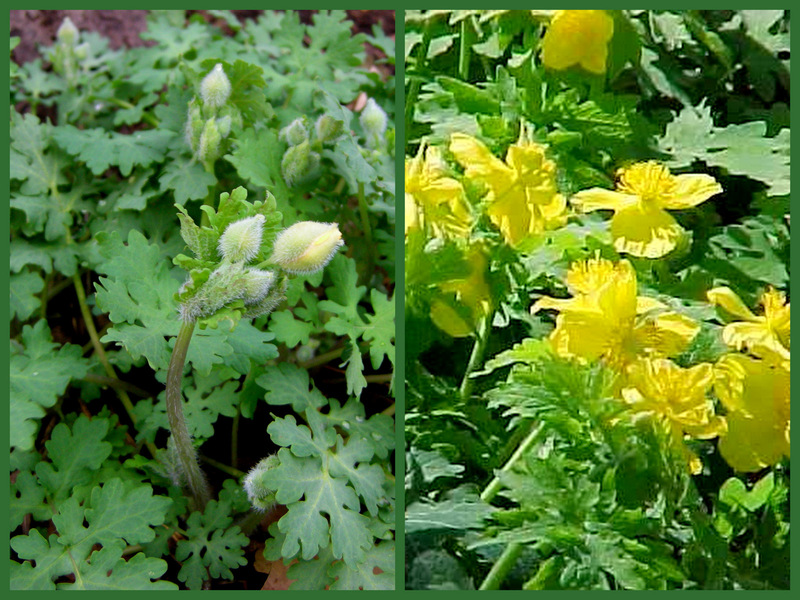 I love how you use yellow signs to identify your native plants. It makes it easier for the public to shop! Bravo! Your wildflowers are wonderful! And thanks for the reminder on Jan’s post. I think mine is scheduled for this week. I am so delinquent lately in my blogging but need to get it up soon. Love those yellow signs. Anything that makes it easy to figure out things works for me. Carolyn, when it comes to environmental issues you are the real deal, and you tell it in a manner which rubs off in others. Flowery things! 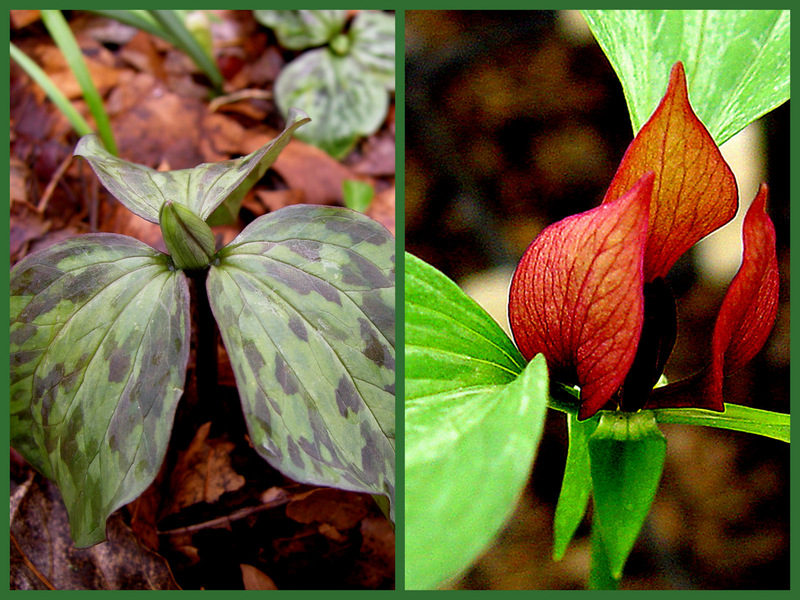 our Trillium Grandiflorum is in full bloom. Dear Carolyn! I have installed a translator on my blog now 🙂 Thank you for your visit. Your post is not only beautiful, but really very emtional to me since I am a firmly believer in the need of making society concious of how important is for us to take full responsibility for the care of our environment by learning the best ways. “Chapeau” for what you have been doing in you nursery and for encouraging other sto follow!! Hi Carolyn, I’ve missed you and your blog. Lovely to see your plants popping up so well. I have a plant that bears a close resemblance to your bloody butcher. I’d better treat my plant well…who knows what it would do to me. Lovely post, Carolyn. 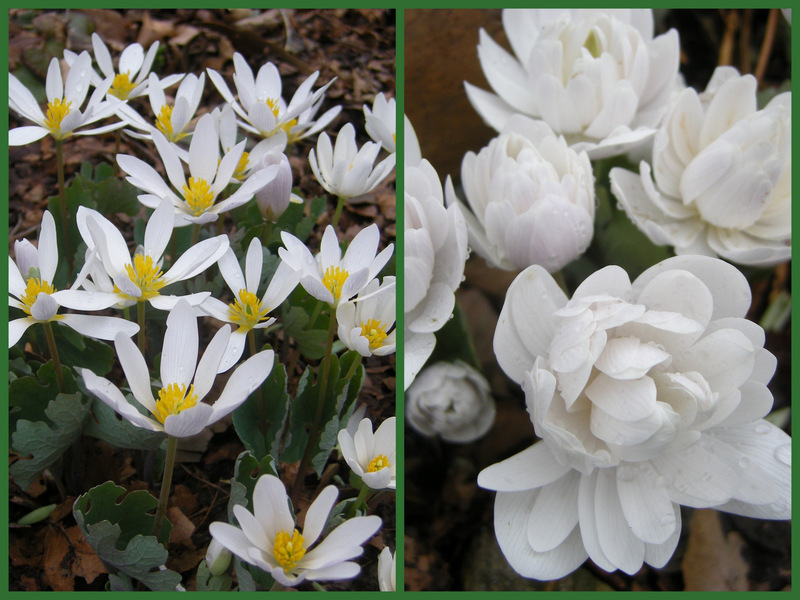 Though way ahead of me, I have almost all mentioned in my wildflower garden and would love to get my hands on the the rare double ‘Multiplex’ bloodroot. Isn’t spring grand! Your web site is a treasure! As I explore the wooded area on my 2 acre property, I try to respect what is naturally happening. 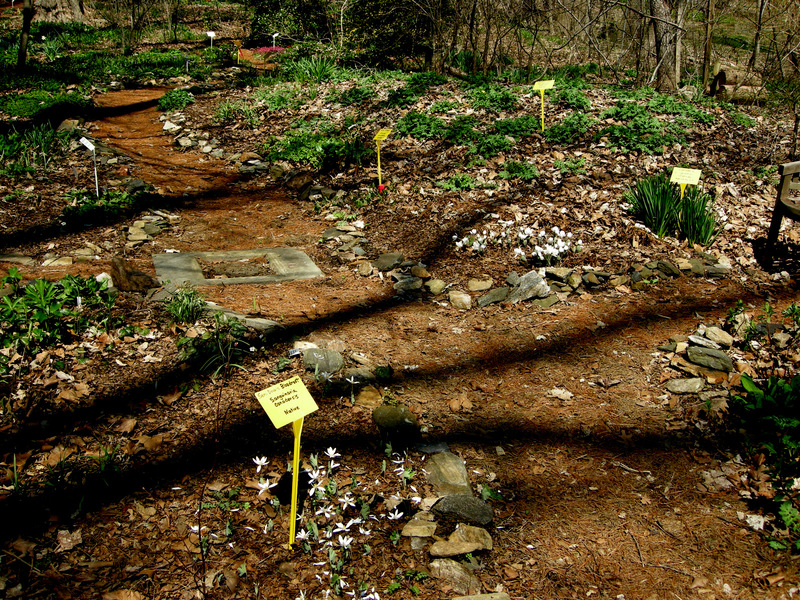 For example, the patch of trout lilies needs to be protected from the burning bush that is drifting nearby. If I add a plant(s) to this lovely wooded area, it must be native and it must behave well with others!